We love exploring the French countryside and villages, especially in the South of France where it can get so hot in the summer sunshine. 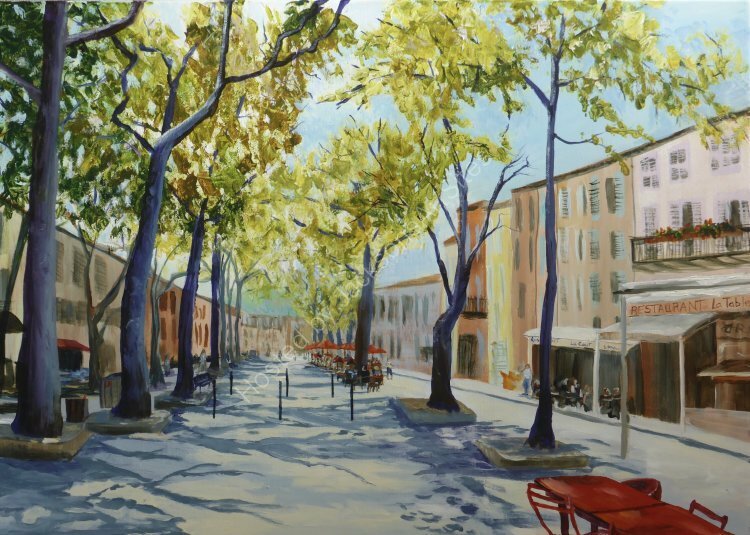 The Plane trees planted in the centres of towns and villages, as well as along the roads, provide some welcome relief from the heat of the sun. Cafés make use of the shade and the open market squares for seating areas. It is so relaxing to sit there in the shade with a coffee and enjoy the activity around. An original painting in acrylic on a stretched canvas. Overall size 70 x 50 cms.